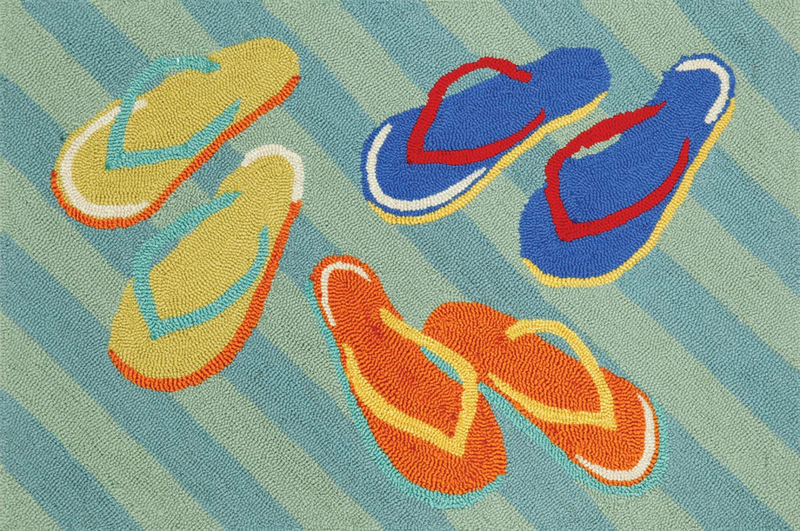 Aqua, blue, orange, red and gold flip flops on a sage and seafoam striped background. Hand-tufted 80% acrylic/20% polyester. Spot clean. These nautical area rugs are suitable for indoor or outdoor use. 2'W x 5'L. For even more options, we encourage you to take the occasion to look through our complete selection of coastal area rugs at Bella Coastal Decor now.